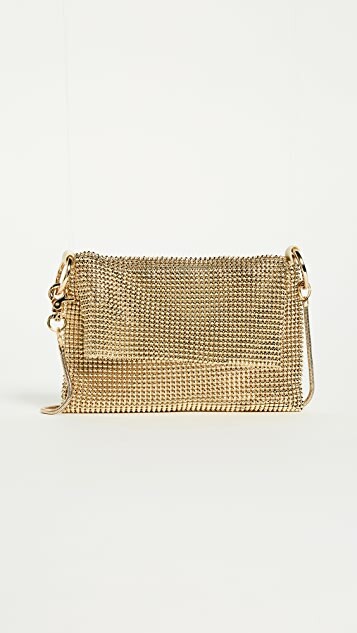 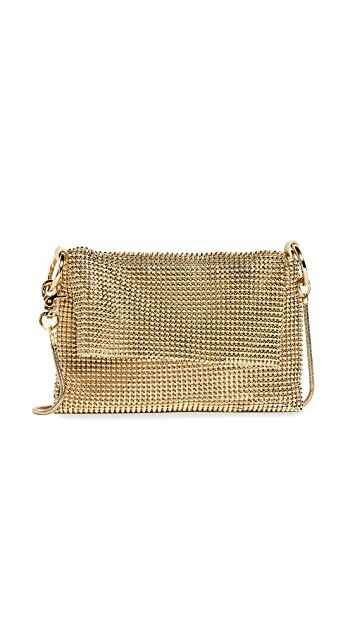 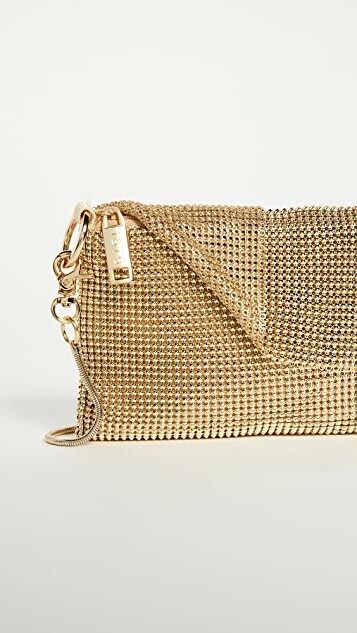 A petite Whiting & Davis cross-body pouch in metal mesh. 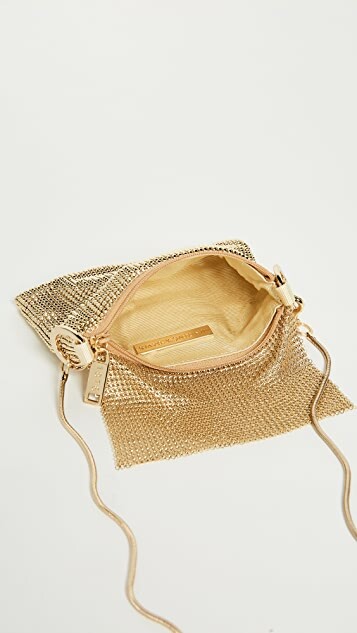 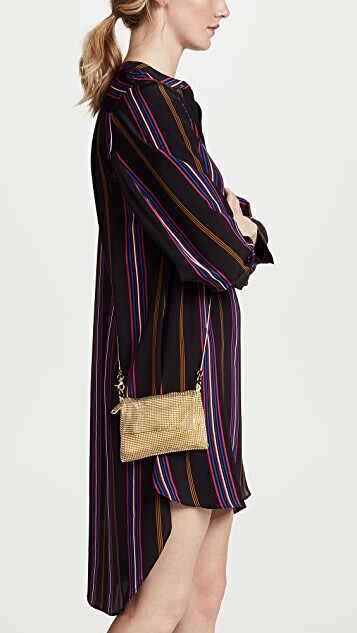 A top flap covers the top zip, which opens to a faille-lined interior. 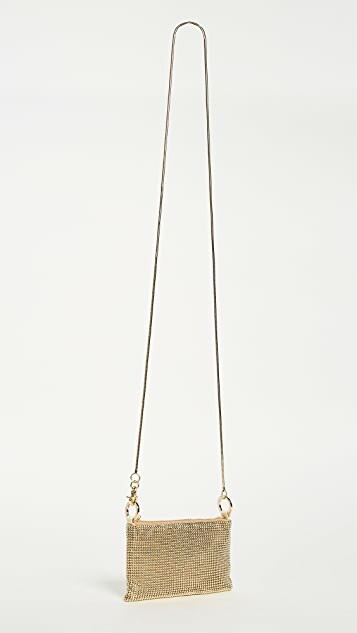 Optional chain strap.